If football players can have specialized cufflinks, then why can’t basketball players? 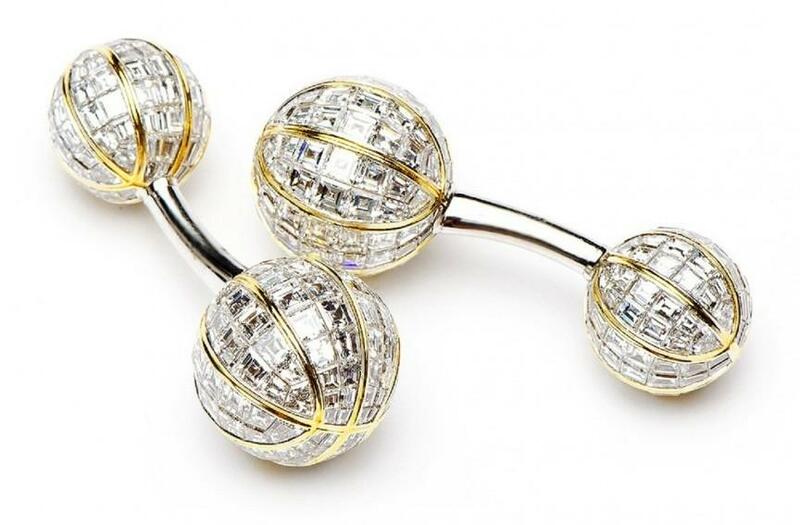 Using a total of 22.73 carats worth of white diamonds to adorn four spherical cuffs, along with a two tone white and yellow gold trimmings, this design is bound to turn heads. A loose one piece double sided clasp completes this eye-catching $162,000 cufflink. The legendary love story between King Edward VIII (1894-1972), and his commoner American wife, Wallis Simpson (1896-1986), probably ranks as one of the greatest this century. Facing objections from the British Parliament and the Church of England, King Edward voluntarily abdicated his throne in 1936 in order to marry Simpson. In a 1987 auction organized by Sotheby’s, over $50.8 million worth of the couple’s memorabilia was sold, including one of Edward’s most treasured possessions – a pair of diamond cufflinks given to him by Simpson. 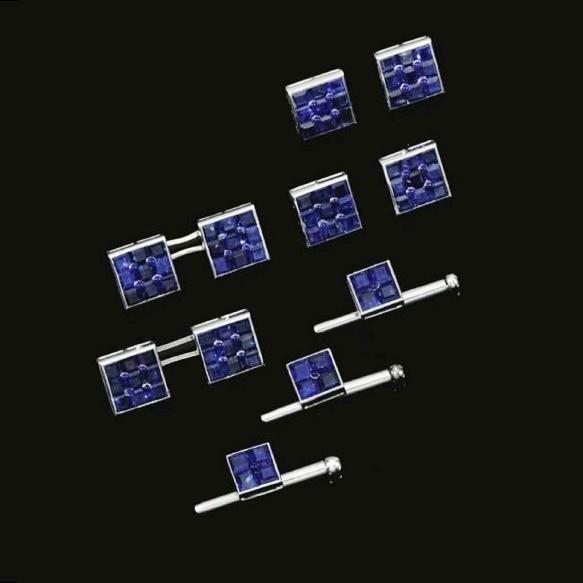 Designed by Cartier, the diamond and sapphire-encrusted cufflinks were part of a dress set that was eventually won by Syrian billionaire Wafic Said after a frenzied bidding. Legend has it that the cufflinks were engraved with the phrase ”Hold Tight”, an expression often used by King Edward in his love letters to Simpson.